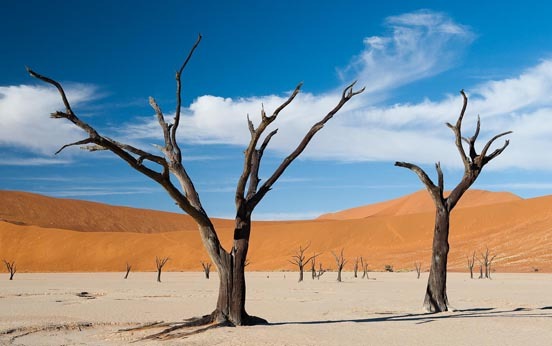 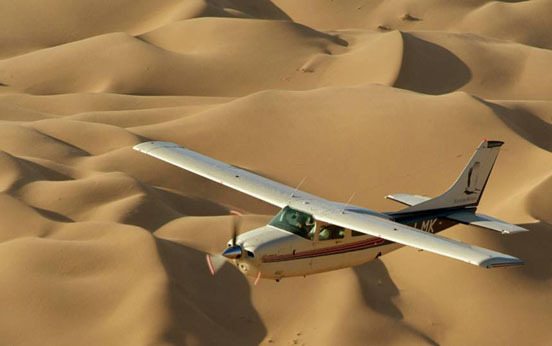 As you fly from Windhoek to Little Kulala, the land becomes drier as the Namib Desert is entered. 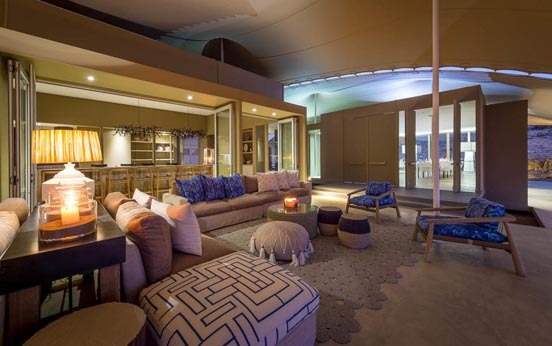 The pastel tones and gorgeous textures of the lodge’s interiors mimic the scenery of Sossusvlei. 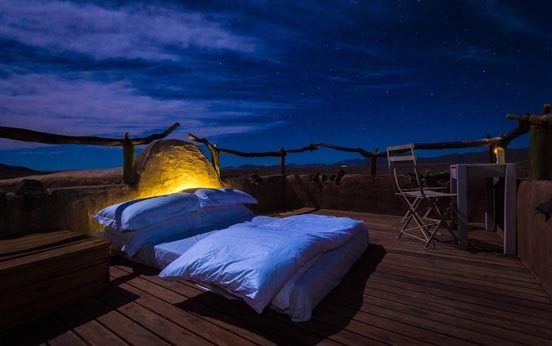 Each air-conditioned villa has a cooling plunge pool and rooftop skybed, for sleep outs under a "sea of stars"! 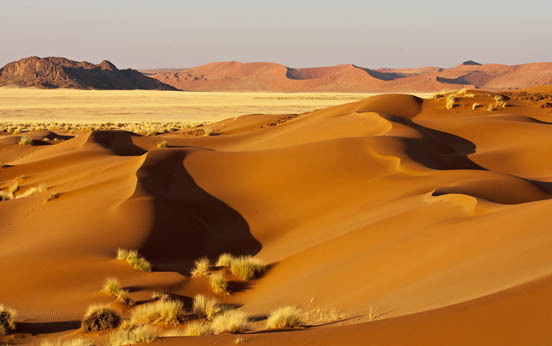 A private gate allows secret access to Sossusvlei in the National Park, essential for the most majestic scenery at Sossusvlei’s towering dunes where white, cracked pans and shadows meld with soft pink, peach and red coloured dunes. 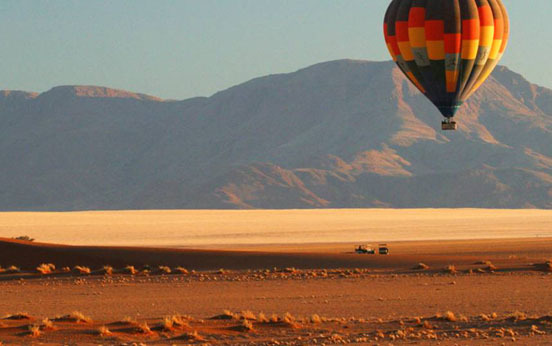 Quad bikes, nature walks and a hot air balloon ride complete this mesmerizing experience. 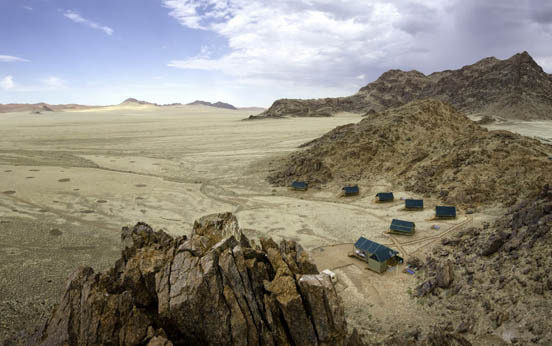 Located in the rugged Kaokoveld, Hoanib Skeleton Coast Camp lies along the dry Hoanib River and offers cool comfort under stretched canvas and shielded by ancient volcanic mountains. 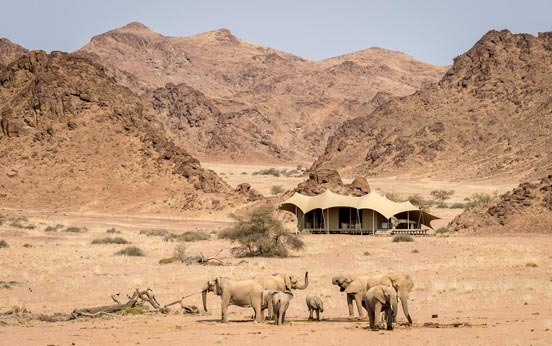 Intimate and exclusive, this iconic luxury tented camp combines enigmatic desert wildlife experiences around camp with the Skeleton Coast, the most barren coastline in the world. 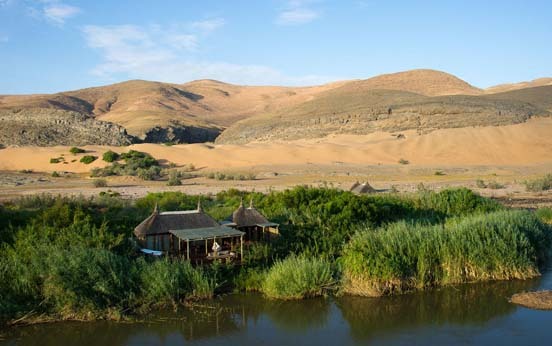 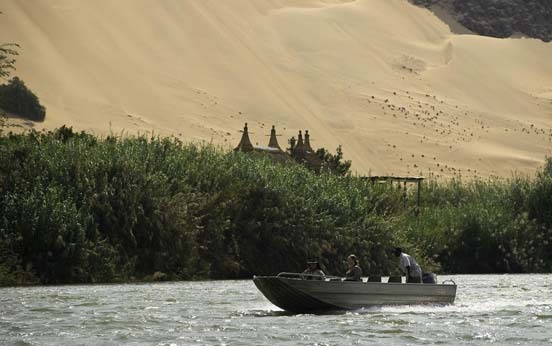 Guided explorations discover water filled oases surrounded by dunes, where elephants, rhino and even rare desert lions roam. 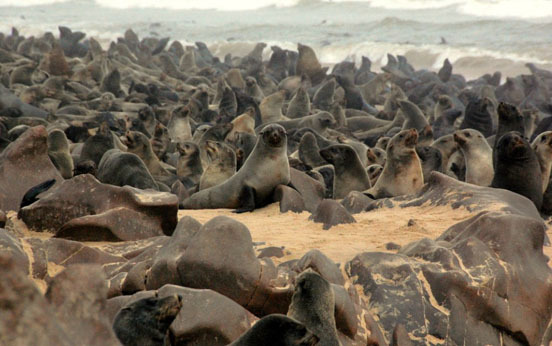 The Skeleton Coast yields seal colonies, shipwrecks, whale skeletons and even the secretive brown hyena. 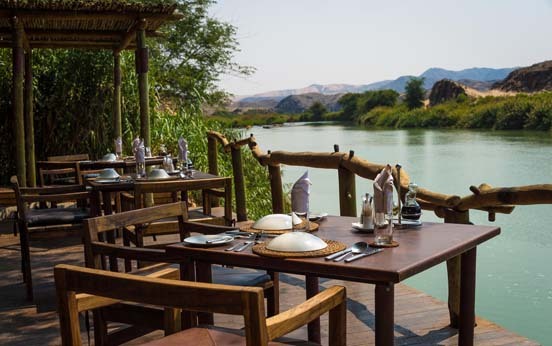 On the boundary of Angola and Namibia and amongst shady giant Ana trees on the Kunene River, is Serra Cafema. 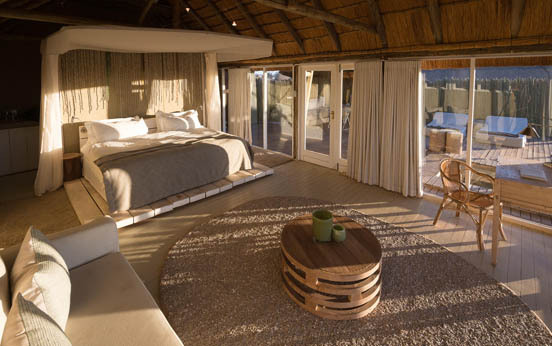 Feel part of the breathtaking surroundings as elegant use of natural building materials and soft red hues of the Himba, make you feel as one with nature. 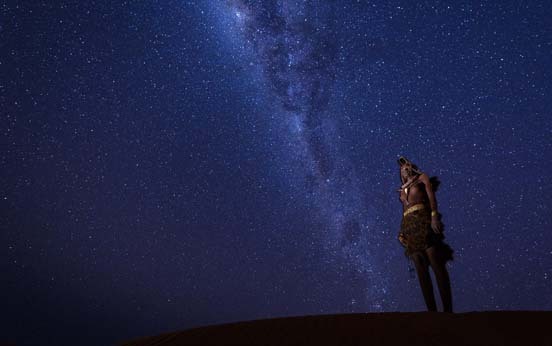 Meet and speak with the beautiful Himba people, a matriarchal nomadic stone aged tribe of pastoralists. 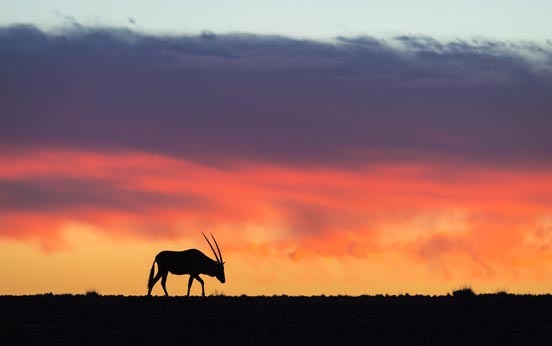 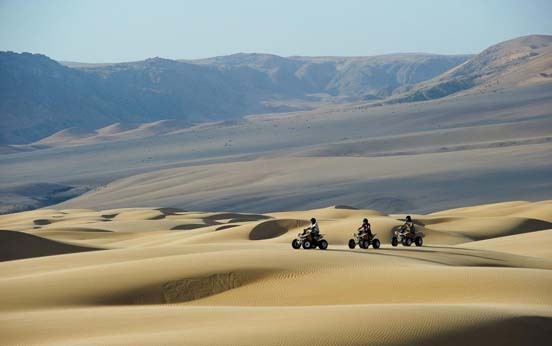 Other activities include boating, walking and guided quad-bike excursions, which reveal a surprising diversity of life and include huge crocodiles, zebra, the Namaqua chameleon and the desert’s great survivor, the regal oryx. 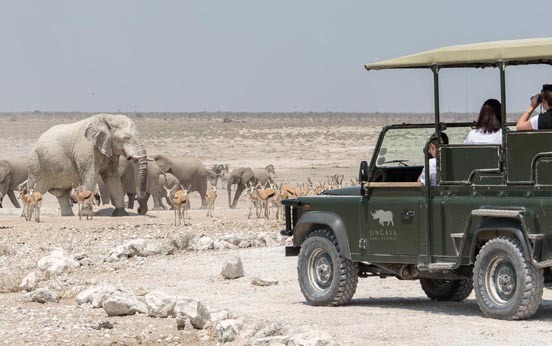 Etosha National Park and the surrounding private reserves host Namibia's largest wildlife populations and is a must do for safari enthusiasts. 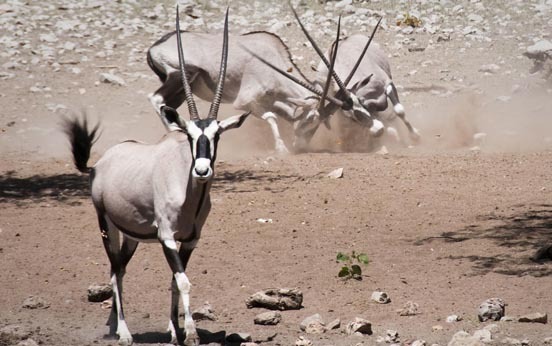 The park surrounds the white expanse of Etosha Pan, the ancient floor of a glacial lake. 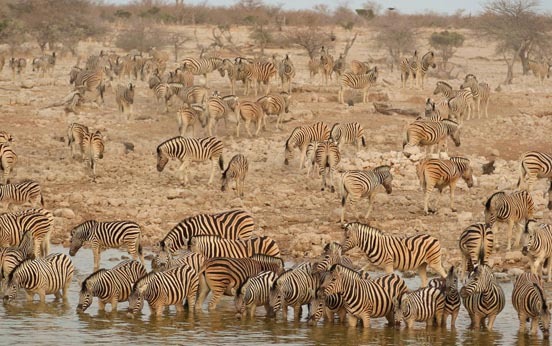 Springs around the pan's edges attract a staggering density of wildlife, a place where desert and savanna animals meet. 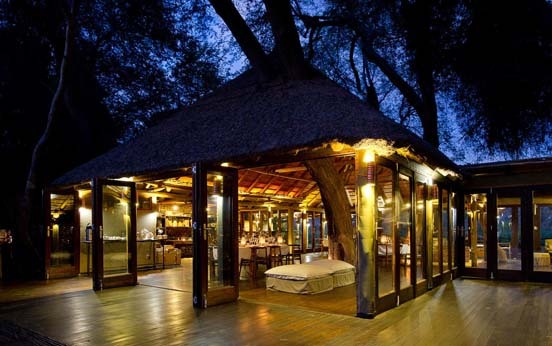 Sightings may include lion, leopard, cheetah, elephant, endemic Damara dik-dik and black and white rhino. 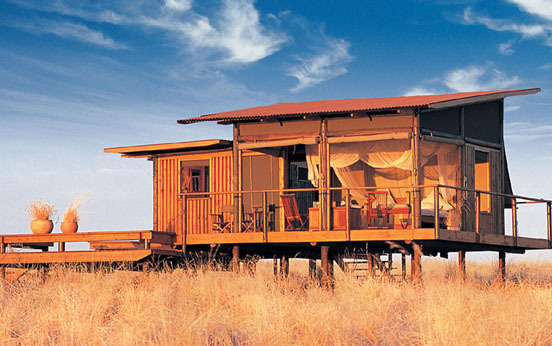 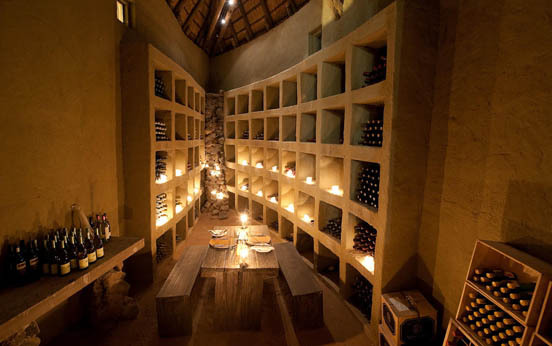 Choices of accomodation are varied between the park and private reserves in terms of luxury, excursions and wildlife. 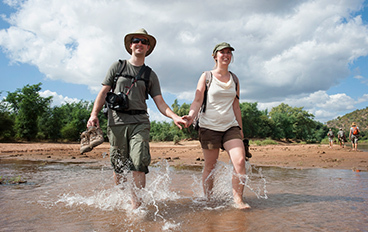 Let our experts help to find your perfect experience. 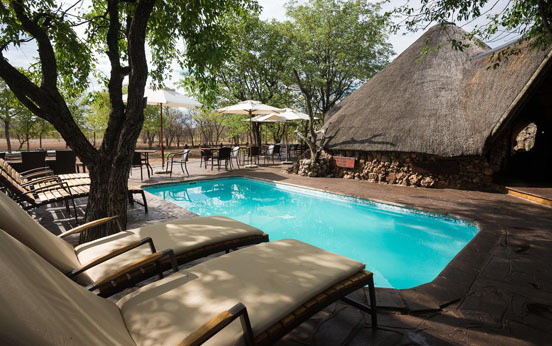 Upon arrival at Windhoek, fly to a place where silky bushman grass weaves like gentle waves in the wind. 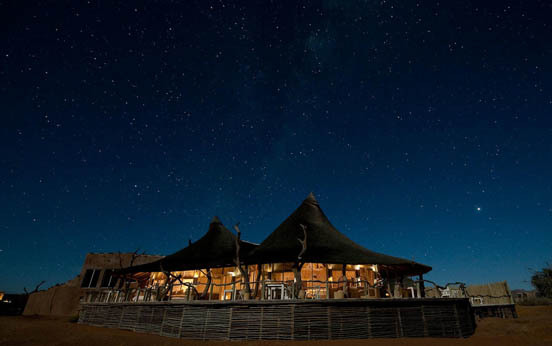 Wolwedans Dunes Lodge is perched atop a plateau of vibrant red, peach and pink coloured dunes, capturing vistas of the Namib Desert, the world’s oldest! 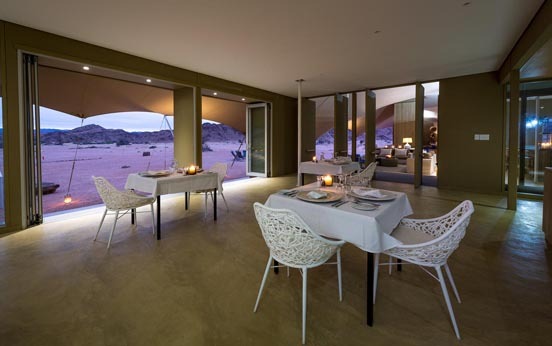 Spacious chalets lead onto verandas and the vast desert beyond. 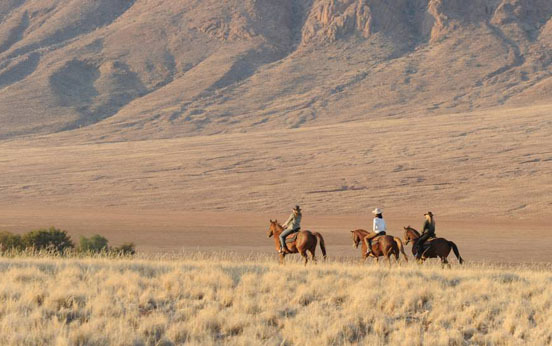 Scenic nature drives and walking safaris explore this stunning landscape and uniquely developed desert wildlife, while a hot air balloon flight, horseback ride and incredible stargazing ensure an enlightening stay. 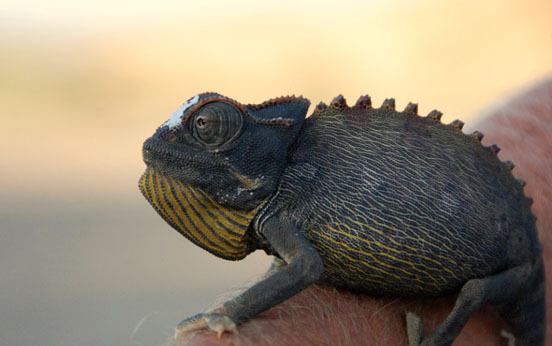 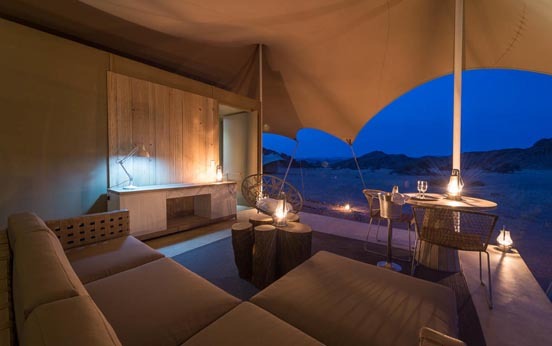 Fly over endles dunes to Desert Rhino Camp, which lies amongst the rolling, rocky hills and crags of Damaraland. 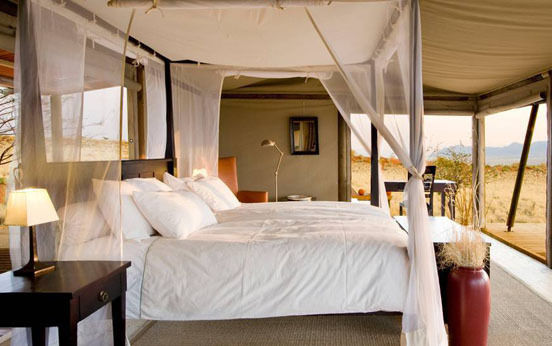 Tranquil, minimalist beauty hides a wealth of desert wildlife as well as critically endangered black rhino. 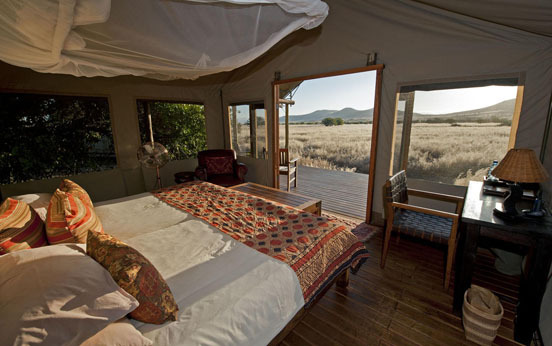 Each airy large canvas tent with en-suite bathroom gives way to plains dotted with euphorbia and prehistoric welwitschia, while a cool pool offers respite from the heat. 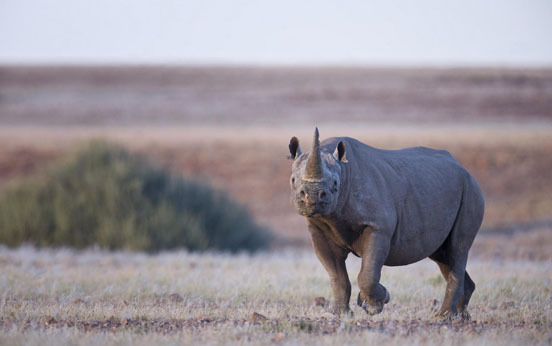 Track black rhino on foot and on nature drives encounter desert–adapted elephant, cheetah, unique Namib zebra and stately oryx with your experienced local guide. 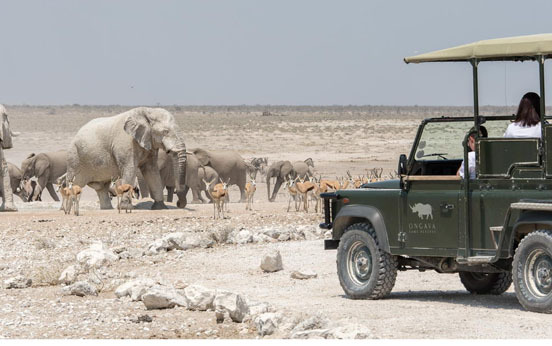 After a final morning game drive, fly to the private and exclusive Ongava Reserve, on the boundary of Etosha National Park, Namibia’s premier wildlife destination. 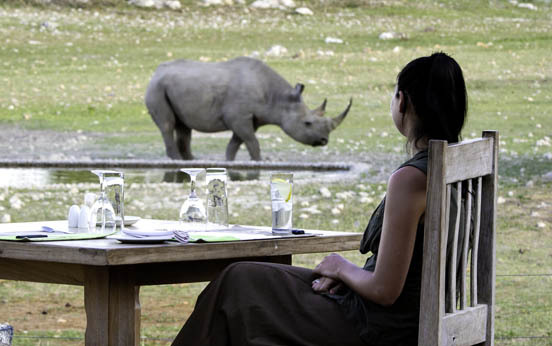 Ongava Lodge’s main area and air conditioned luxury chalets look onto a waterhole that attracts diverse wildlife, sometimes while dining! 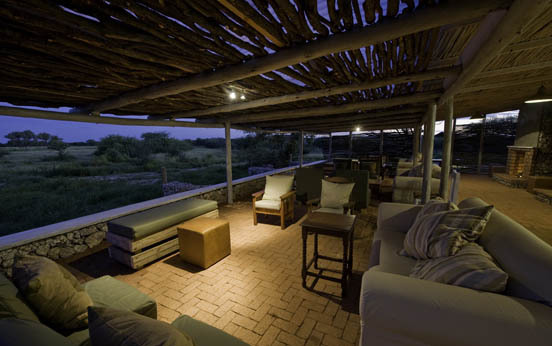 Expertly guided nature drives in the reserve and Etosha provide unrivalled game viewing opportunities. 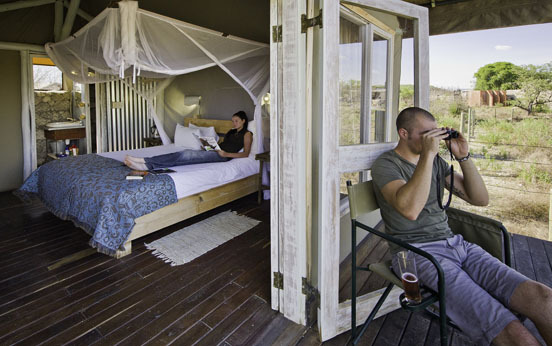 Patiently wait in a “hide” next to a waterhole watch rhino, giraffe and even lion up close and also enjoy walks with armed rangers. 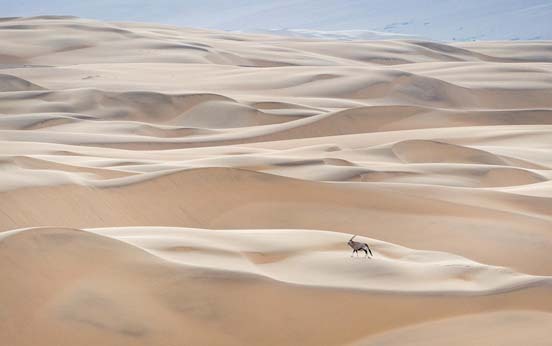 The evocative and haunting landscapes of the Skeleton Coast draws travellers from afar. 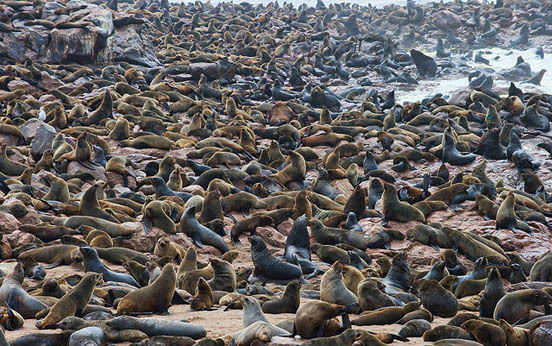 Shipwrecks, whale and seal skeletons lie strewn across this "Sea of Storms" coastline while towering dunes, like sandy "glaciers", crash into the ocean growing the coastline. 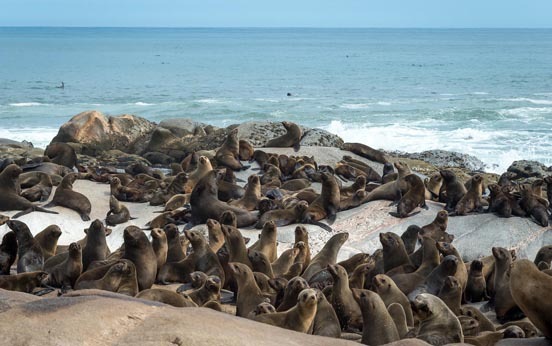 Apart from the coastline, the Atlantic produces incredible ocean life including endemic dolphins, huge seal colonies, whales, sunfish and turtles. 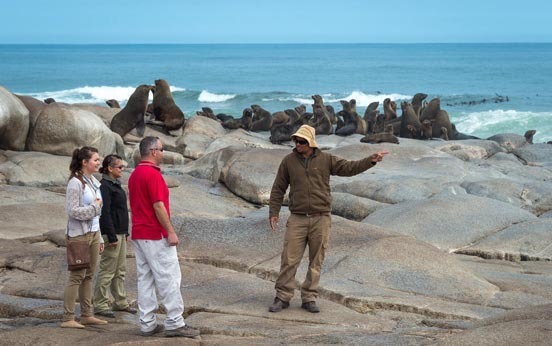 Exciting activities include ocean cruises, kayaking among flamingoes, the Moon Landscape and soul reawakening walks along endless beach. 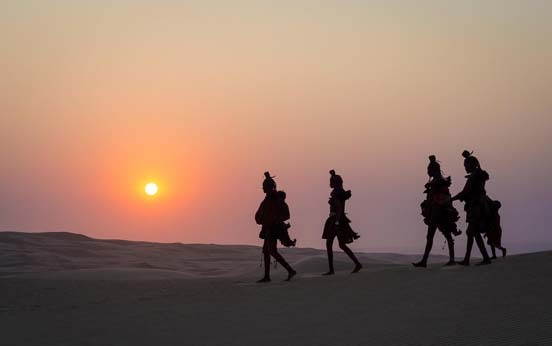 Include this memorable region and let our team build in the best experiences! 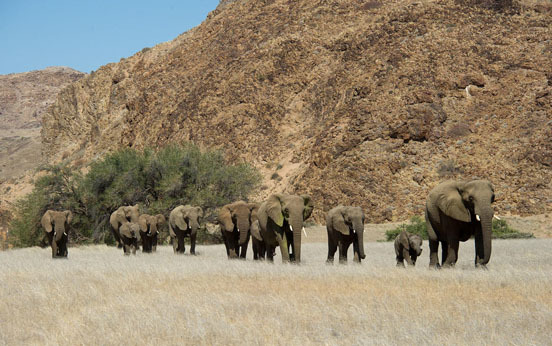 With 400 million years of geology and unique wildlife, Namibia is fascinating to drive through. 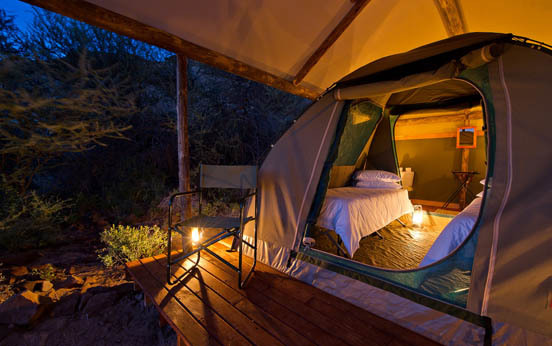 Combining full-service nature camping with tented lodges, this is an exhilarating guided safari through wild landscapes. 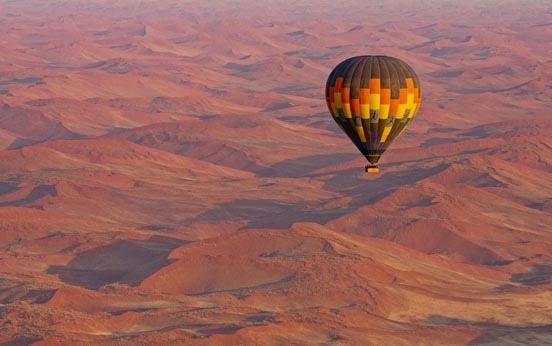 Depart Windhoek at dawn and descend the Khomas Hochland Mountains into the Namib Desert, seeing the blood red dunes from afar. 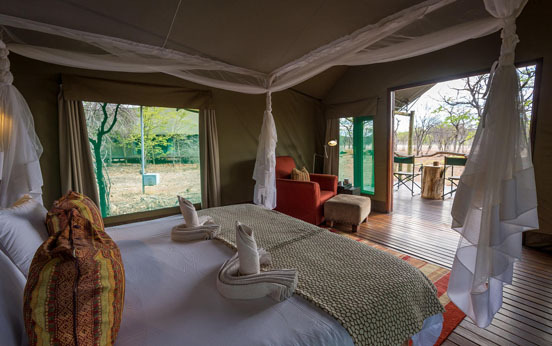 Enjoy your secluded private Kulala dome tented camp, each stand up tent having en-suite facilities, a private verandah and epic views. 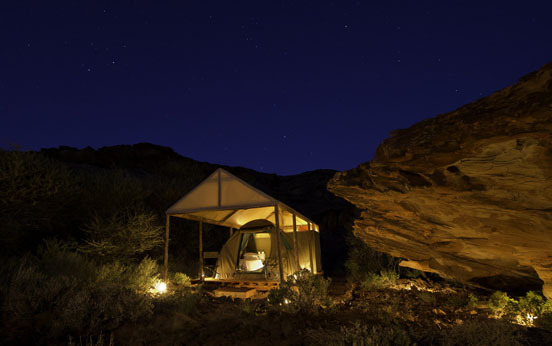 Feel closer to nature as you absorb the silence and enjoy meals cooked on a roaring fire under the stars. 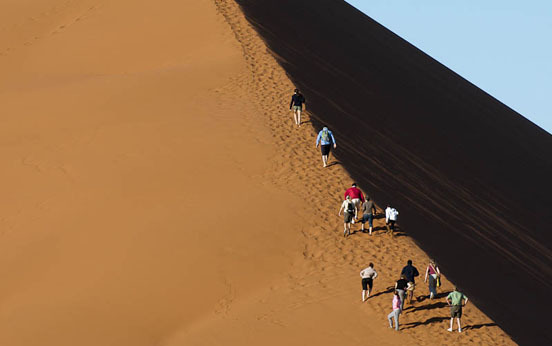 A private gate allows early access to Sossusvlei, essential for capturing its towering dunes at its most majestic where white, cracked pans and shadows meld with soft pink, peach and red dunes. 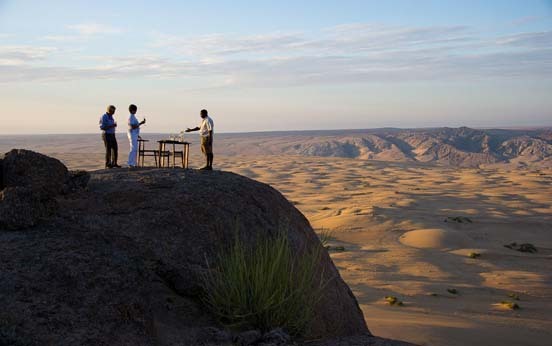 On the private reserve nature walks and drives reveal breath-taking landscapes and secretive desert wildlife. 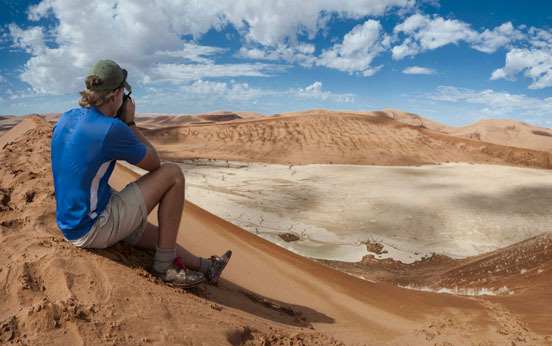 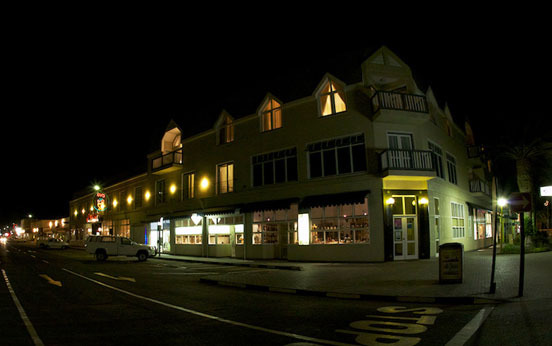 Depart Sossusvlei and drive through the dusty, rusty outpost of Solitaire, through the Kuiseb Canyon and across lichen covered plains into the quaint coastal town of Swakopmund on the stormy Atlantic Ocean. 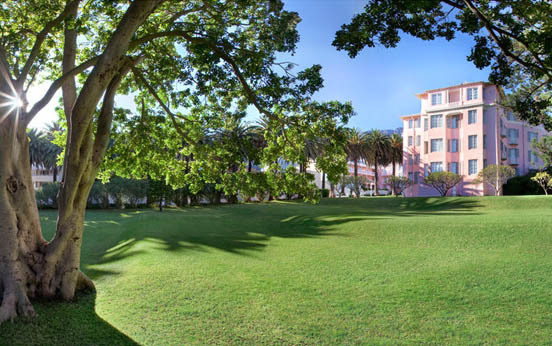 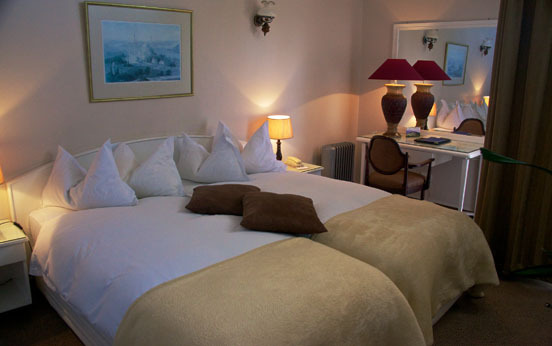 The timeless Hansa Hotel dates from 1905 and is a luxury hotel in this intriguing enclave where African culture and German colonial history blend naturally. 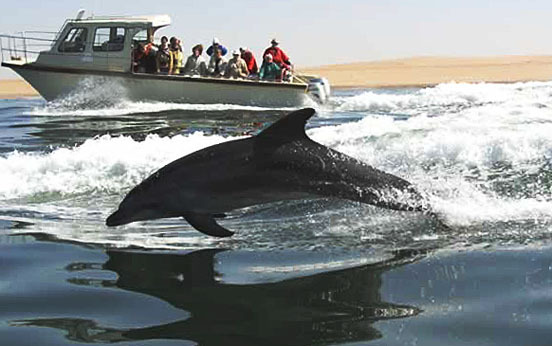 Explore the ice-blue Atlantic ocean on a catamaran boat excursion into Walvis (Whale) Bay, where pelicans silently glide by and the endemic heavyside dolphin can be seen. 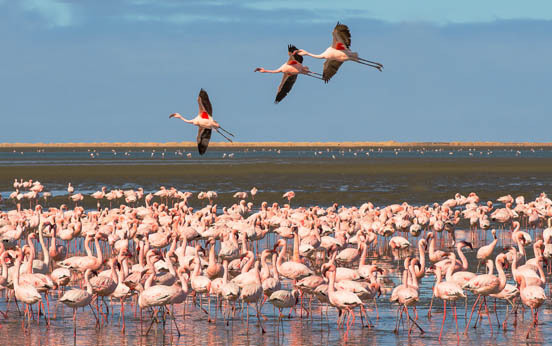 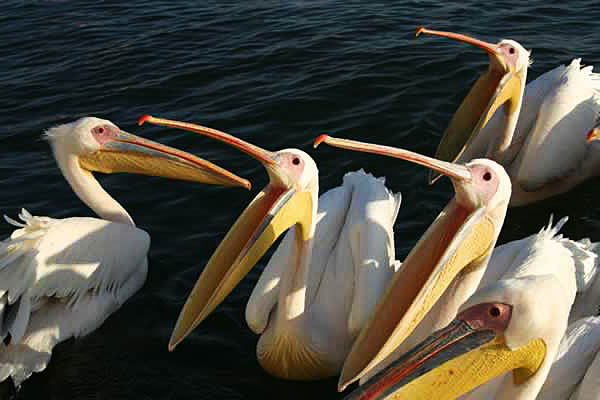 Guided excursions also traverse the Walvis Bay Lagoon, the playground of seals and home to hundreds of flamingo, who feed daily here. 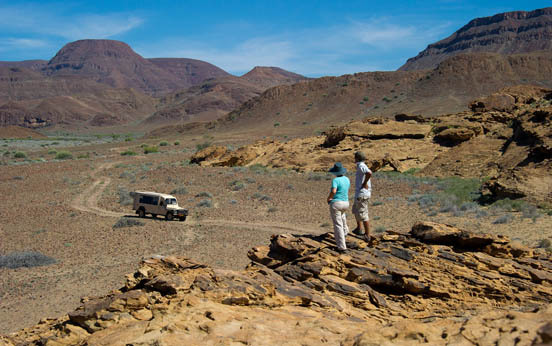 Driving north along the Skeleton Coast, pass by the skeletal remains of ships and whales then turn inland to leave the dune fields for the ancient glacial, mountainous landscapes of Damaraland. 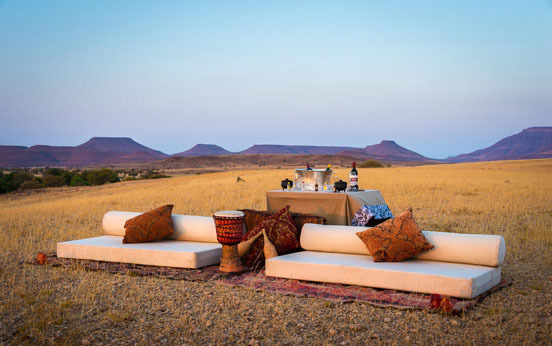 Delve deep into remote corners of a private reserve to our hidden exclusive tented camp, a shaded refuge amongst massive ochre boulders with awe-inspiring scenery. 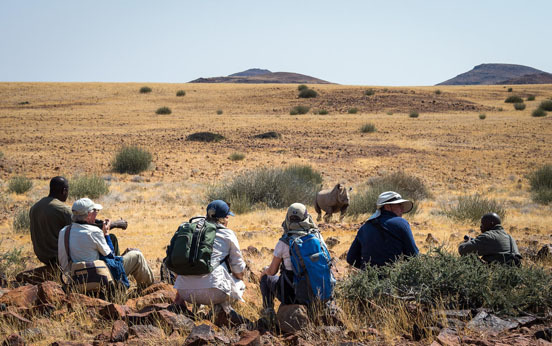 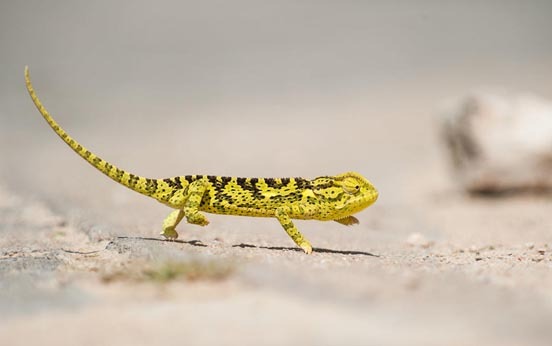 Activities include tracking rhino on foot, day and night nature drives on the private concession and a day trip to Twyfelfontein, a World Heritage site with thousands of Bushmen rock etchings. 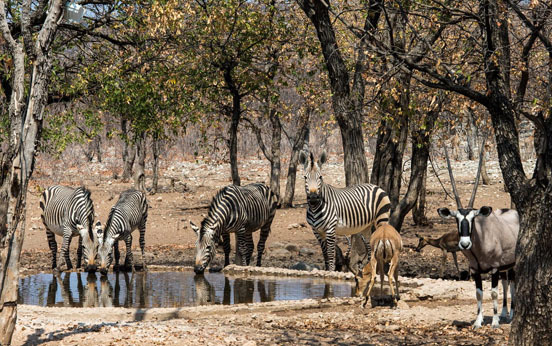 Wildlife concentrate in seldom flowing rivers and include desert elephant, lion, cheetah, oryx, giraffe and endangered black rhino. 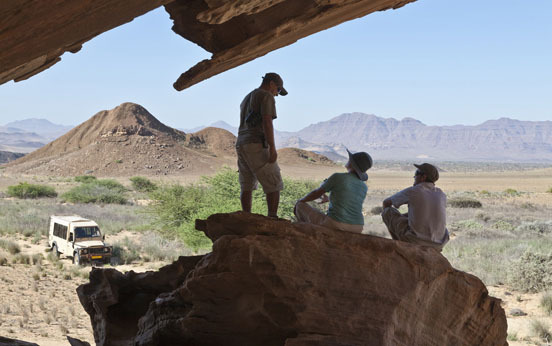 Departing early, pass stop at a petrified forest and the Organ Pipes, a fascinating rock formation en route to Andersson's Camp in the private Ongava Reserve. 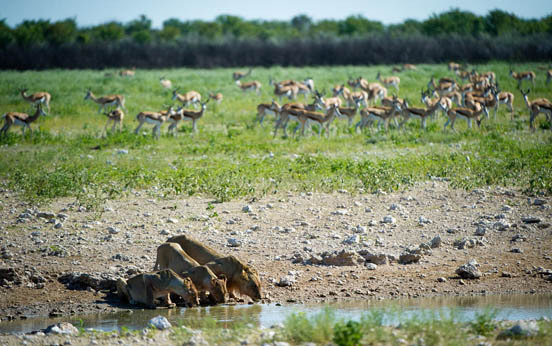 Etosha National Park surrounds the white expanse of the Etosha Pan, where springs attract a herds of thirsty wildlife. 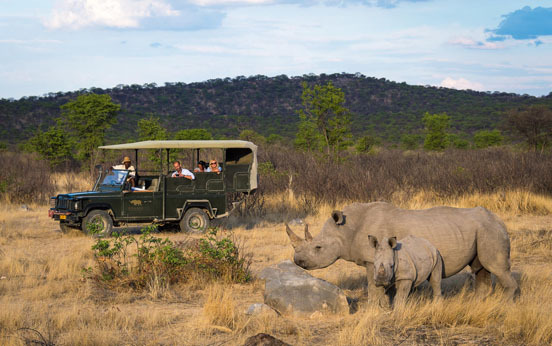 Sightings may include lion, leopard, cheetah, elephant, the diminutive endemic Damara dik-dik and even black and white rhino. 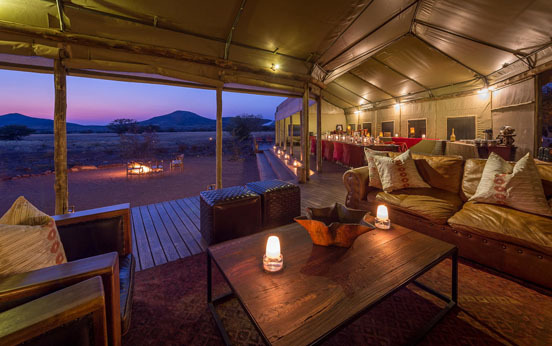 The camps' main guest area is a tastefully rebuilt old farmhouse and looks out onto a floodlit waterhole bustling with animal traffic. 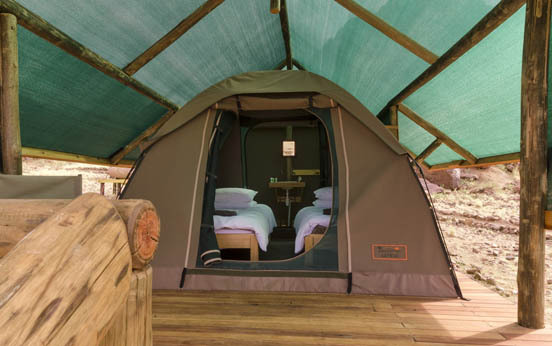 Elevated canvas tents with full en-suite bathrooms have a unique style with local calcrete stone and timber. 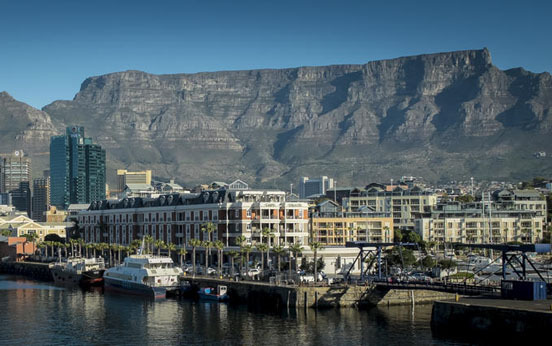 With Cape Town a flight away, this vibrant, eclectic city is a destination not to be missed at the end or beginning of this safari! 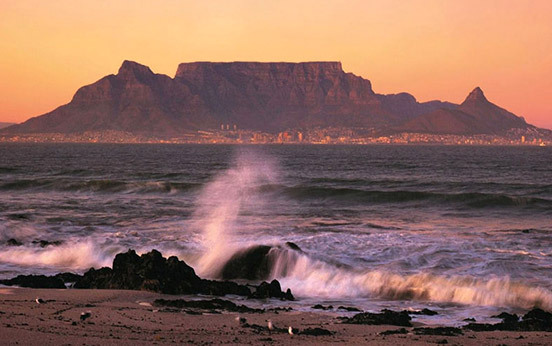 The "Mother City" surrounds Table Mountain and is located on the south western tip of Africa. 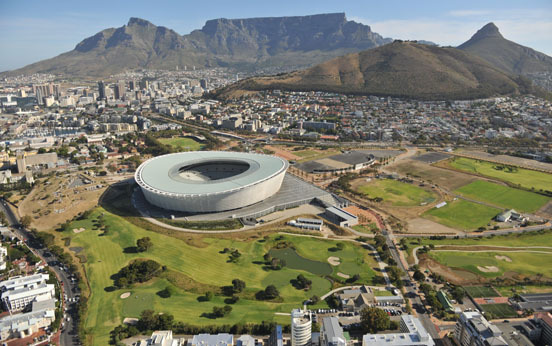 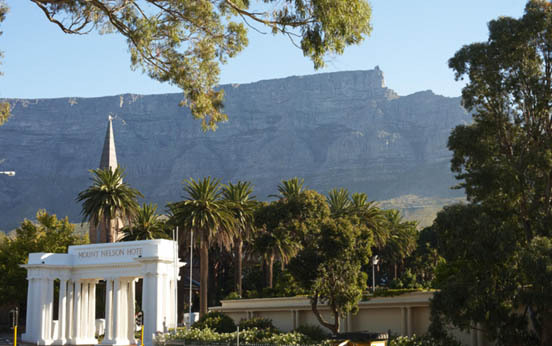 Take a cable car to the mountain top and enjoy endless Atlantic ocean vistas, amble through the World Heritage gardens of Kirstenbosch or visit Robben Island, where Nelson Mandela was incarcerated. 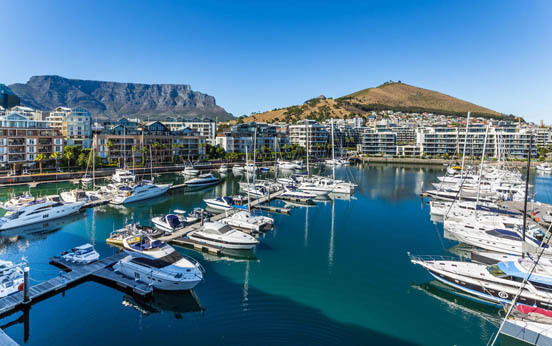 Whether you choose to indulge in fine wine and delectable meals at the country's best eateries, explore the urban art galleries or shop at the Victora & Alfred Watrfront, let our experts meticulously design your perfect extension and excursions.